Mott Sophomore forward Myles Busby (Niles, MI) won the MCCAA Eastern Conference Defensive Player of the Year Award. Mott sophomore Myles Busby was the lone bright spot for the Bears this season on the defensive end. The Niles (MI) product was named a captain and set the bar for effort for the team throughout the season. He was rewarded for his effort on Tuesday. Busby was named the MCCAA Eastern Conference Defensive Player of the Year for 2013-14. Busby is a 6-4 small forward with length, strength and athleticism. 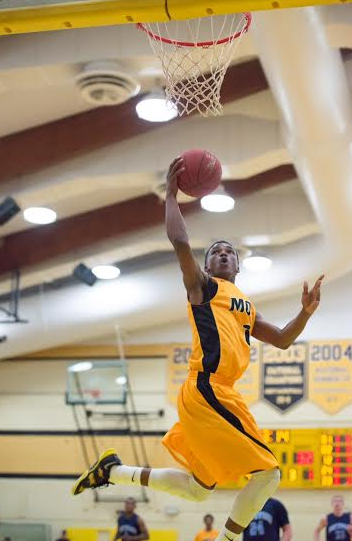 He is one of a small handful of unsigned sophomores in the MCCAA who should command some attention in the offseason. He averaged eight points, six rebounds and two steals per game and started in 26 games. 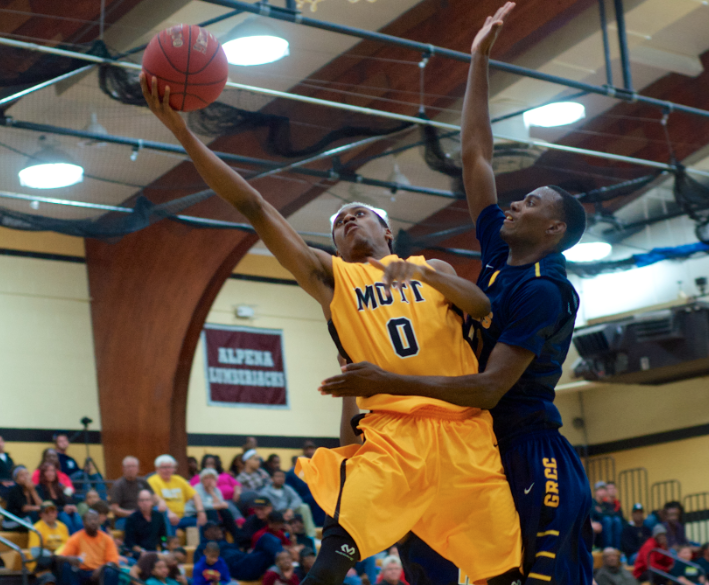 Mott sophomore Malik Albert finished his career as the second-most prolific scorer in the Steve Schmidt era at Mott. The first bit of good news following no. 6-ranked Mott’s upset loss to Oakland in the District 10 semifinals last week came Tuesday morning. 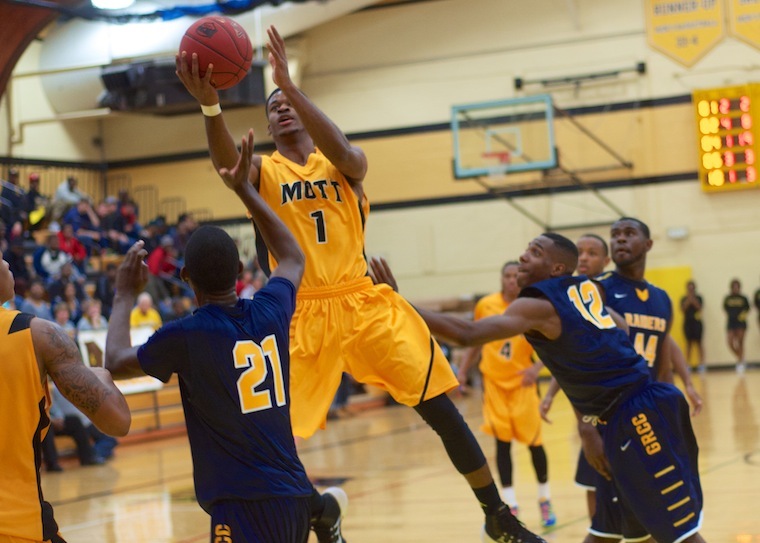 Mott sophomore guard Malik Albert was named the MCCAA Eastern Conference’s Player of the Year. He was also named to the All-MCCAA and All-Region first teams. Albert scored 31 points in his final game as a Bears and goes in the books as the second-most prolific scorer in the Steve Schmidt era (John Taylor). Albert averaged 25.4 points per game and leading Mott to a 25-6 record. Albert scored 30 or more points in 10 games this season. He also improved as a passer in his sophomore season, averaging 4.5 assists per game. Albert will also be remembered as one of the best athletes to ever play at Mott. For a program that has turned out some unbelievable athletes (Doug Anderson, Thomas Kennedy, Rashi Johnson, etc. ), Albert can certainly hold his own. As for the next step, Albert is weighing several options including Iowa State and Missouri. If your favorite team needs backcourt scoring, Albert can provide that and more. BAY CITY, Michigan — This is as early as Mott has begun the offseason in quite some time. The no. 5-ranked Bears ran into an Oakland CC squad Thursday night that couldn’t miss from the perimeter and couldn’t be kept out of the lane. Oakland, ranked no. 6 in the national poll, shrugged off a late Mott run to win, 90-87. The Raiders advance to Saturday’s district final at Delta College and will play for the right to represent District 10 in the NJCAA National Tournament in Danville, Illinois. Mott had one last chance to tie the game with five seconds left, but Malik Albert’s triple try was long. Mott actually led the game by four at the half. Oakland made seven of six of seven attempts from 3-point range in the half and wrestled the lead away from Mott after a 9-0 run that spanned both halves. The game ultimately turned on Mott’s inability to stop penetration to the basket and its failure to close out on open shooters. The Bears led by as many as nine points in the first half but, as always, the Raiders seemed to answer right away. A 5-0 run to end the half and two quick baskets to start the second half erased, in full, Mott’s lead. The Bears were inside of four points twice in the final three minutes, but could not get stops when they needed them. Ironically, this inability to make stops hadn’t been a problem for Mott in recent weeks after some early-season struggles on the defensive end. It came back to haunt them in a big way Thursday night. Oakland (28-3) shot 60 percent from the field as a team as 44 percent from 3-point range. 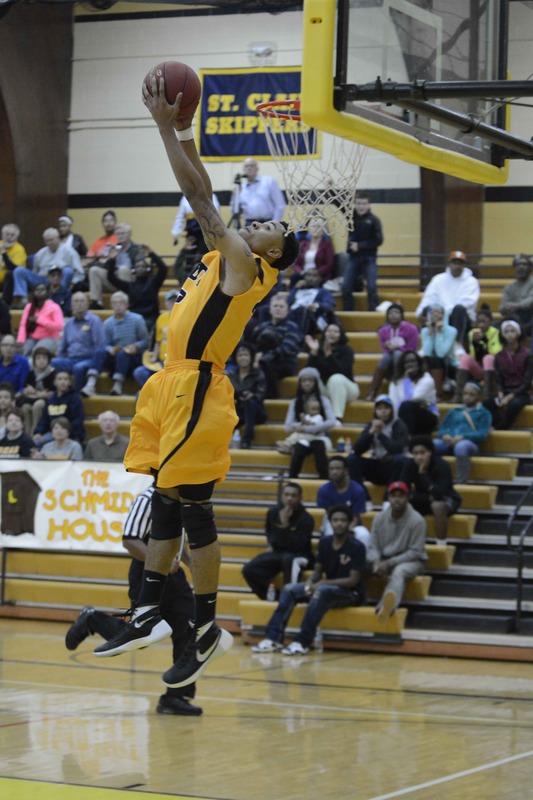 Richard Roberts led Oakland with 28 points including seven 3-pointers. Jemetrius Wade added 20 for the Raiders. Albert led all scorers with 31 points with eight rebounds on 10 for 17 from the field. Albert had 16 points and five dunks in the first half. Marcus Johnson and Ruston Hayward added 17 and 15 points, respectively. Mott ends the season with a 25-6 record and without a trophy to put in the case. Certainly 25 wins would be a banner season for most programs, but for one with more banners than any other, it’s probably the worst season in a decade. For the first time since I’ve covered this program, this Mott team did not take on the character of its coach. 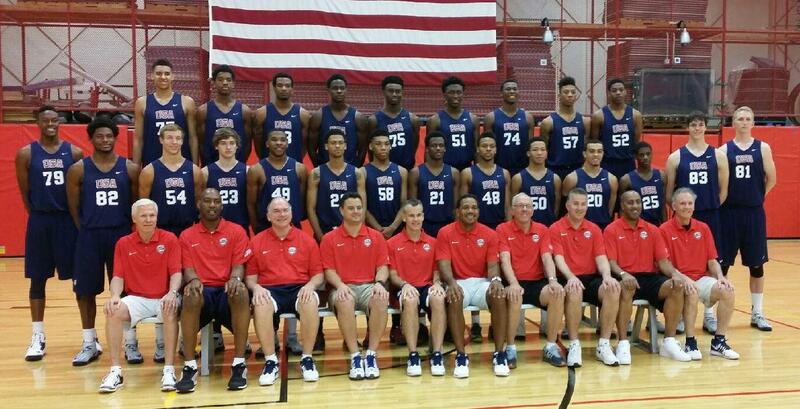 The way Steve Schmidt coaches certainly won’t change, but I can guarantee his recruiting will. In spite of a few games in the last couple weeks that seemed to indicate the Bears were turning a corner, this game brought back memories of Mott’s lack of urgency and intensity seen in their five regular season losses. My hunch is that next season’s squad will look more like the teams we remember, and not the performances fans are trying to forget.